I made this box using the Now and Then Digital Kit by Sugarplum Paperie and the Cupcake Box Project Kit. The box has an optional cupcake holder insert – in case you want to give away a sweet treat. Then just assemble with adhesive on the tabs (I also used foam tape on the label to add a little dimension.) The box kit also includes an optional cupcake holder to keep a cupcake secure inside the box.. The projects it quick and easy and can be repeated over and over. You can change the seasons and occasions just by changing the papers you choose. You can also cut the box from any of your own scrapbook papers or cardstock. Now I think I need to go bake something! This entry was posted in Cutting Files, Gift and Home Decor Items and tagged Cutting files on September 20, 2013 by Cathy. Just wow! The design team made so many amazing projects with the Garden Of Life Digital Scrapbooking Kit and the add-ons – I had to share them here! I included digital cutting files in the kit which hopefully makes hybrid more fun! Liz made these amazing shaped cards using flowers from the kit and the Elements Add-on. So beautiful and clever. Melinda made this lovely birthday card using the kit as well. And Kim made this absolutely amazing project using the Garden of Life kit and the Delightful Dwelling Birdhouse box cutting file. You can see her “how to” over at the Hybrid Chick Blog. The design team is so clever – I’m always so inspired by them! 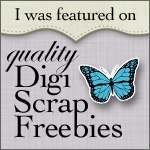 This entry was posted in Cutting Files, Gift and Home Decor Items and tagged Cutting files on May 4, 2013 by Cathy. This box is in a hexagon shape and includes tiny window box details (as well as the windows, door and roof decoration.) The box ends up about 4″ in diameter and 5.5″ tall as designed. Of course you can scale the box smaller or larger in your software. (Be careful making the little flowers too small though – they may get difficult to cut). Here is a brief description of how I made mine. The patterned paper is from the Hearts and Flowers kit – I just printed 2 sheets of it on Red River Canvas paper before I started. Then I applied adhesive to the tabs and glued the box together. The top of the box is angled in so the “roof” lid fits well and stays on. I wanted my box to have a door, 4 windows and 2 window boxes. I also needed to cut the roof and the roof trim. I chose my cardstock colors and cut the pieces I needed. The roof folds up simply with one tab to glue. I added patterned paper trim. I placed my door and window pieces on the box positioning them how I liked. I folded up the window boxes and added 2 pieces of greenery and 5 flowers to each. I added the centers to the flowers and shaped them slightly by using a stylus to press the center into a mouse pad. This gave them a cupped shape. Once the flowers and greenery were adhered, I adhered the window box under the window, holding it in place till the glue dried a little. That is it – just fill with a treat and pop on the lid! This entry was posted in Cutting Files, Gift and Home Decor Items and tagged Cutting files, home decor on April 20, 2013 by Cathy. I love birdhouses. I actually grew birdhouse gourds in my garden last year so I could make some. Well in the process of looking for inspiration for painting them – I got sort of lost in Pinterest (right?) and got inspired to make some birdhouse digital cutting files. This is the first one. I wanted it to have a garden feel, so I included some little sunflower cut file decorations. I also wanted an option for it to be either a box or some home decor. So roof can be fit on like a box lid, or glued in place to be home decor. This entry was posted in Cutting Files, Gift and Home Decor Items and tagged Cutting files, home decor on April 12, 2013 by Cathy. Sneaking in one last new project before Easter….a garden arbor shaped basket cutting file. This cutting files includes the picket fence basket with an “arbor like” handle plus some optional accessories to decorate your basket. I included some grass for the base, a vine for the arbor and 3 different flower shapes. I also included an egg shape in case you want an Easter themed basket. For my sample, I shaped the flowers with a stylus before I glued them together – just to give a little more dimension. Added some Easter grass and a couple eggs. The Creative Team made some amazing projects too! Here is Kim’s basket – with a little bunny desperate to get to those chocolate carrots. Janie’s basket is full of yummy eggs. Melinda had the brilliant idea to use just part of the file to make this lovely spring card! This project was inspired by the picket fence and arbor in front of my vegetable garden. It will be time to plant that soon. Here’s hoping I can keep the rabbits out of my real garden! This entry was posted in Cutting Files, Gift and Home Decor Items and tagged boxes, Cutting files on March 21, 2013 by Cathy.